Can you spot the future leaders in your firm? Here are some of the characteristics of employees on the fast track to a principal position. • They go the extra mile in everything they do. • They don’t rush out the door at exactly 5:00 PM each day. • They ask good questions and want to learn. • They don’t hide under a rock when they are in trouble. • They accept responsibility and don’t blame others. • They connect naturally with clients. • They respect and work well with fellow employees. • They take an active role in their professional organizations. • They express a desire to advance, and to be a part of the firm’s future. When you’ve spotted those shining stars, let them know, and help them evolve into the future leaders your firm is going to need when the current generation of principals begins retiring. Provide training and continuing education. There are hundreds of options for continued training available today, such as lunchtime seminars, online courses, books and media, and in-house and offsite trainings by professional service firms like PSMJ. Programs should be taken in leadership training, project management, and marketing, as well as technical and other support functions. Set realistic goals, monitor progress and provide encouragement. Pick them up when they fall down. Young staff in particular will make mistakes. With hope, they will learn from these experiences and not repeat them. Take them aside, and carefully explain where things went wrong. Review the options and solutions. Help them resolve the issue(s). Above all, assure them that they still have a job and that you expect them to grow from the error. Give them the tools. Software, hardware, smart phones, and tablets are the tools of today. Find ways to provide them with this essential equipment, and give them appropriate training. Provide a work environment that fosters creativity and communication. This goes for everyone in your office, but especially for your future leaders who need to be seen by others in the office as the next generation of principals. Does your office still work like the 50s and 60s where everyone is assigned a cubicle? Follow the trend of open office spaces that encourage the sharing of ideas and vibrant discussions, and have pin up surfaces and areas to relax and communicate with fellow staff members. Preparing and growing the next generation of your firm’s principals will require some new thinking on the part of management. It will take planning, and it will take some balance between billable hours and overhead hours. Discovering and nurturing the future leaders of your firm is imperative, especially when considering Ownership and Leadership Transition Roundtable. Even if you aren't ready to start the process today, you should start planning for the inevitable now. Successful transitions typically take 10 years to accomplish… most owners wait too late to start the process and harm the realization of firm value. PSMJ has been addressing the issue of design firm ownership transition for 34 years and is holding two Ownership and Leadership Transition Roundtables on each coast for the leaders of today's A/E/C practices just like yours – August 21-22, 2012 in Vancouver, BC and October 23-24 in Atlanta, GA. Together we'll walk through a structured, logical approach to developing practical planning tools for your firm's Ownership Transition. Click here to register now! Software Advice is hosting a survey about construction project management. The poll includes questions about project management processes and best practices, that will be used to develop a benchmark report in August 2012. This survey should take roughly 10 minutes to complete. You can view the survey at: http://software-advice.polldaddy.com/s/2012-construction-project-management-benchmark-survey. The American Institute Architects’ Architecture Billings Index fell in April, the first time in six months. After a five month period of growth, it seems as though the architecture industry has finally caught up with the rest of the economic factors that have been sinking as of late. The ABI registered a score of 48.4 in April; a modest drop from the 50.4 recorded in March. Indicators of future work, such as inquiries into new projects and the value of new design contracts, continued to expand in April, but the pace of growth has slowed in recent months, indicating that there may be less future work in the pipeline as well. Firms located in the South reported a decline in billings for the second month in a row, and firms in the West continue to struggle. Firms in the Northeast and Midwest, however, again reported modest growth. Revenue continued to grow at firms with commercial/industrial specialization, as this remains the strongest sector. Firms with a residential specialization reported minimal growth, but this is still the eighth consecutive month of improving conditions for them. Firms with an institutional specialization continue to experience weakness. Many economic indicators in the general economy have moderated lately as well, with the U.S. GDP growing by an estimated annual rate of just 2.2% in the first quarter of 2012, compared to growth of 3.0% in the fourth quarter of 2011. While people are spending more, business investment in equipment and software has slowed. In addition, non-farm payrolls added just 115,000 jobs in April, the second month of weak growth following more substantial monthly additions from December to February. The architecture and engineering sector as a whole added 7,000 jobs last month, while the construction sector remained essentially flat. Consumer confidence also dipped slightly in April, with the Conference Board Consumer Confidence Index falling to a score of 69.2 (1985=100) on the heels of a more substantial decline in March. While consumers are guardedly optimistic about the present, their outlook for the future has dimmed in recent months. After such a protracted period of downsizing for many architecture firms, three quarters of our survey panelists indicated that they hope their firm will be larger in five years. A fraction, just 2%, would like their firm to be smaller in the future, while the remaining 23% are content with their firm’s current size. Firms that are already large are more likely to want to expand. More than eight in 10 firms with annual gross billings of $1 million or more hope their firm is larger in five years, compared to just 67% of firms with annual gross billings of less than $250,000. When asked why they hope their firm will be larger in five years, the most frequently selected response was that larger firms are better able to compete for desirable projects. This may be a direct response to the increased competition for projects that has cropped up during this economic downturn. Firms also hope to expand to become better able to make investments that will increase efficiency and become more diversified, which will enable them to better cope with future fluctuations in the economy. By region, the ABI breaks down as follows from March to April: Midwest is down 50.1 from 54.1, South is down 49.0 from 50.1, Northeast is down 51.0 from 53.9, and West is up 48.0 from 46.6. By market sector: Residential is down 50.5 from 51.9, Institutional is down 46.6 from 47.7 and Commercial/Industrial is up 53.8 from 56.0. • We have had a more sustained couple of months with projects that appear to be moving forward. Despite a dip in April’s billings relative to March, there is considerably more backlog today than there was a month ago. • There is a lot of pent-up demand for housing, as well as a lot of renovations. These projects are mostly higher-end, owner-occupied-related design and construction. • The economy is stagnant. Any projects that are being considered are very small, and there are many firms vying for every opportunity. • Progress on projects continues to be excessively slow, and we’re having cash-flow and credit issues at a time when newly signed contracts are pushing us to grow our business. Most design firm principals are quite happy to delegate authority and responsibility to good project managers, and then stay out of their way. A few, however, like to “meddle” in the management process, often undercutting the authority of the PM. What can you do to manage your manager? 1. Be the mediator. Whenever possible, prepare meeting agendas, chair meetings and write the minutes. Assume the role if no one else has already taken it. This puts you in the “mediator” role, as a neutral between competing interests, and makes you the project historian. It’s also a great way to “protect your flank” in a turf war, and ensure that the record demonstrates your facilitation skills. And, it gives you the equivalent of a Teflon coating. 2. Delegate up. Always be ready with a difficult chore to hand to your superior who wants to play PM. “Harry, I’m really glad that you can spend some time on this project. I really need help with (insert description of difficult problem). Your wisdom and experience on this will be a great asset to the team.” Flattery will get you everywhere, and keep Harry busy on something that needs to be done – and out of your way. 3. Track your boss’s time. Sometimes bosses log time on your project without telling you, and can, in the process, wreck your budget. Make it clear to your boss that her time has to be entered in her timesheet for that project, and then check that the same as you would for anybody else. You’re accountable – and so is she. 4. Use weekly status reports. They create the (accurate) image that you are the keeper of the project knowledge. 5. Communicate. Take the lead in keeping your meddling-prone boss “in the loop.” Copy them on everything going out, until they request that you take them off the CC list. Suggest that you have short, weekly briefing meetings with them to discuss any outstanding issues, and give them the opportunity to provide advice in a structured, rather than ad-hoc, way. The A/E/C industry has a great opportunity, right now, to be more profitable than ever. The key is to work only with firms that understand the value of design and how that value factors into the price of projects. Getting value pricing to work in your firm requires a combination of factors synchronized to generate high fees and high profits. It starts with picking the right clients. Most marketing consultants suggest a generic plethora of style-related criteria to pick good clients that leave you in the dark when it comes to value pricing. Follow these business criteria, and you will establish a solid foundation on which you will get higher fees. 1. Analyze an existing client. Start inside your firm by evaluating an existing or past client that paid you on value, and who you really loved working with. Write down everything you can to describe them. 2. What position/title does a high paying client generally hold? Decide for your firm the title/position that most high paying clients hold. If your firm does municipal work, are you targeting the mayor or someone well below that level? In general, the higher up in an organization that your client contact resides, the more you will get paid. 3. Define the individual’s spending authority. Just because a person is CEO does not automatically give him authority for high spending. A CEO might have to get board approval, in which case you may want to target the Board Chair. By forcing yourself to define where spending authority lies, you determine who signs checks, who has the power to choose you, and who has the authority to grant you high fees. 5. Define a client’s communication channels. While it may not sound significant, how a client likes to communicate with you often determines the outcome of a relationship. If they like midnight cell phone talks, and you don’t, the relationship will result in lower fees for you. Find out how you’ll communicate with each, and decide if you like the way this client meshes with your own communication preference. 6. Is there repeat/add-on work? Find out. Don’t assume. You must target clients that are in a position to do multiple projects if you are to position yourself to improve your fee status based on added value, intellectual capital, or superior service. 7. Are they liquid? With everything above answered positively, the only remaining business criteria is to determine if a client can pay you. Do the homework. Public agencies have public budgets. Bond issues are reported in the news. Public companies file public reports quarterly. If you hit a stonewall doing this research, confront your potential CEO face to face, and carefully study the body language. If you’ve passed all seven Business Criteria, next ask yourself if you “like” this client. However, if you haven’t checked these seven items, do not waste your time or you will be certain to get lower fees, or get paid late, if at all. Value Pricing starts with Value Clients. In just the past few years alone, the architecture/engineering/construction industry has experienced major economic turmoil, significant advances in project delivery technology, and increasing pressure on succession planning. According to the A/E/C industry experts at research/education/consulting firm PSMJ Resources, Inc., we are at the very beginning of massive change that will transform the A/E/C industry in the years to come. To this end, ‘Massive Change’ is the central theme around PSMJ’s just-announced 2012 A/E/C Industry Summit set to take place on December 6th and 7th, 2012 at the award-winning Walt Disney World Swan and Dolphin Resort in Orlando. 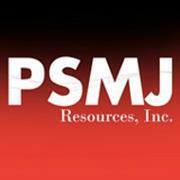 PSMJ’s 2012 A/E/C Industry Summit will bring together more than 45 industry leaders and experts. With dozens of thought-provoking and action-oriented keynote, panel, and breakout sessions, this conference is a must for any A/E/C firm leader seeking growth in 2013 and beyond. Prominent speakers at the conference will include PSMJ’s leading industry experts as well as recognized names such as Tony Franceschini, Retired CEO and Current Board Member at Stantec. The conference will also feature industry thought leaders from firms such as Kleinfelder, CH2M Hill, Arup, Hill International, Long Point Capital, and many others speaking on the future of the A/E/C business. · Ample networking opportunities before, during, and after the event. Sponsors for this year’s event include Deltek, Axium, BQE Software, XL Insurance, and DesignFacilitator. A limited number of press passes will be available and journalists are strongly encouraged to contact Diane Constantine of PSMJ at (800) 537-7765 by June 30, 2012 to secure a pass. Full details on this year’s event as well as the latest updates on speakers, sponsors, and registration information can be found at www.psmj.com/summit2012. The latest updates on the growing list of speakers and conference highlights can also be found by following PSMJ on Twitter (@psmj_resources). 1) At the project’s beginning, establish the responsibilities and functions of any principals involved. 2) Budget activity by each principal, and communicate that budget to the principal in both hours and dollars. Provide your principal with regular updates on the amount of time used. 3) Control project time by breaking down principal involvement into small, specific tasks. 4) When discussing the project, always include a discussion of budget status. Remind principals that their time is the most expensive time available and that they must use it prudently. 5) If your project is in financial trouble, announce to the principal that, due to the circumstances, no one (including the principal) is allowed to charge time without specific, written authorization from you. The longest time sheets in the office should be those belonging to principals who work on projects. These individuals should be spending small increments of time on the largest number of projects – quickly checking in and getting info, as necessary – as well as on marketing and G&A tasks. Don’t let their involvement and time eat up your budget.